As a business advisor, mediator, negotiator and litigator, Richard I. Janvey is entrusted with addressing clients’ most significant challenges. He counsels clients on commercial relationships, negotiates and mediates intra- and inter-company conflicts and advocates powerfully in court. He is brought in by boards of directors of commercial and nonprofit organizations to conduct internal investigations and to untangle all kinds of difficult situations. 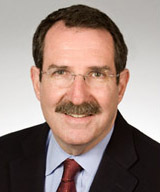 Integrating his counseling and litigation skills, Richard also mediates disputes for clients and facilitates resolution through less expensive, contentious and time-consuming proceedings. He has formal training in mediation from The Program on Negotiation at Harvard Law School. His clients are closely-held businesses, partnerships, corporations, foreign investors, investment funds, senior executive officers and directors, and not-for-profit organizations. Richard’s litigation and dispute resolution experience encompasses commercial, financial, securities, partnership, cross-border transactions, bankruptcy, business torts, fraud, breach of fiduciary duty, trade secrets and restrictive covenant litigation. Richard joined Diamond McCarthy in 2007 to spearhead the firm’s entry into the New York market. Previously, he was the senior partner of a mid-size New York law firm, Janvey, Gordon, Herlands, Randolph & Cox, a litigator with Debevoise & Plimpton, and Associate General Counsel of Arthur Young (Ernst & Young). He holds leadership roles in numerous professional, civic and charitable organizations. Richard is a member of the New York and California state bars and is admitted to practice before the United States Supreme Court, the United States Court of Appeals for the Second Circuit and the United States District Courts for the Southern and Eastern Districts of New York.